This is such a busy time of the summer for us.My daughter starts school next week.I can’t believe that! This week more family time and a concert are planned.Lots of school shopping to do too. Today I wanted to share my mantle.It normally looks like a black hole.In the summer I like to keep it covered.I painted this head/foot board and brought it to my booth.I had second thoughts and brought it home to place in front of my fireplace.I painted this using a few different blues to give it a French blue color that I wanted.I added patina from Annie sloan dark wax.Pages from a vintage French book adorn the front of this. I am still enjoying the colors of summer.I love these blue ball jars.I am going to enjoy placing my white hydrangeas on here too. I love the simple look of my mantle. I’m catching up on blogs, and your headboard turned firescreen caught my eye. I think keeping it for yourself was a good idea. It looks perfect in front of your fireplace! It’s a real treasure and a perfect addition to your fireplace. How cute, and the shape mimicks the mirror. 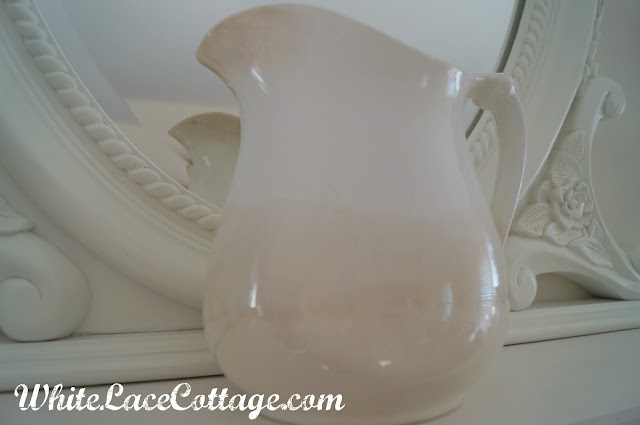 Love, love love it…would love it if you would share it a Share it One More Time linky party. http://www.onemoretimeevents.com/2012/08/features-and-share-it-one-more-time.html Hope to see you there! 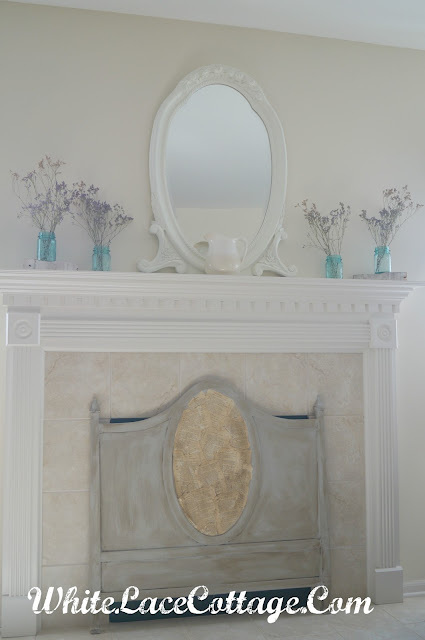 This is a great idea for covering up the fireplace opening- I love it! I’ll have to keep a lookout for a headboard or two, now! Your headboard turned fireplace screen is just beautiful. I love it and it adds such charm and character. Hi again! Your mantle looks darling! I love it. You did such a great job. Great idea!! And what a nice job you did on it. 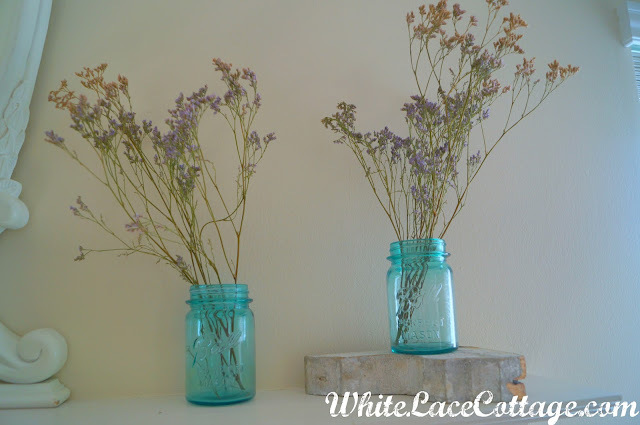 I was thinking “white flowers” in those fantastic blue jars would be so pretty! Your fireplace is lovely. The colors are perfect. Aren’t you clever? There are lot of small cottage-style headboards around, and this is a great up cycle idea. I love all your creative ideas! You just have that magic touch. Very clever re-use of an old item! I have become a friend and follower! Anne, this is so pretty and unique! Thanks for sharing such a great idea! 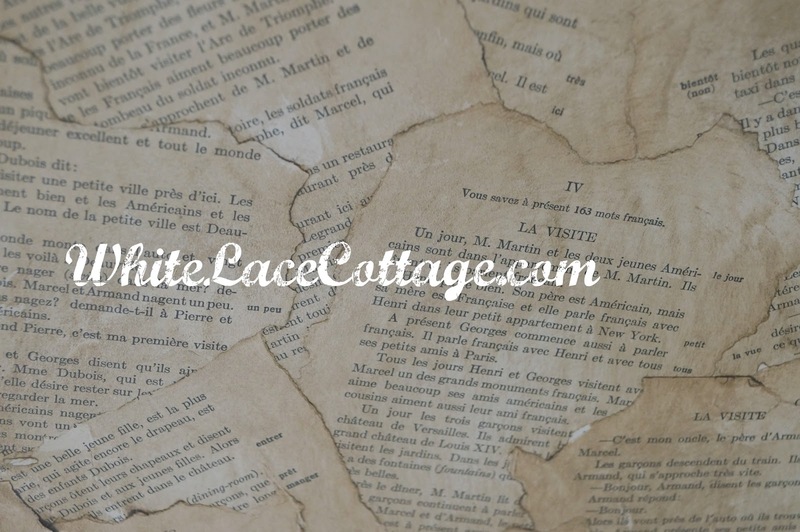 I really love your use of book pages! WOW! Back to school already! Good luck shopping! Your mantel looks amazing! I love the mirror, the jars and the headboard. What a great idea to place it in front of the fireplace for the summer. it really brightens up the spot. The mantle is perfect. 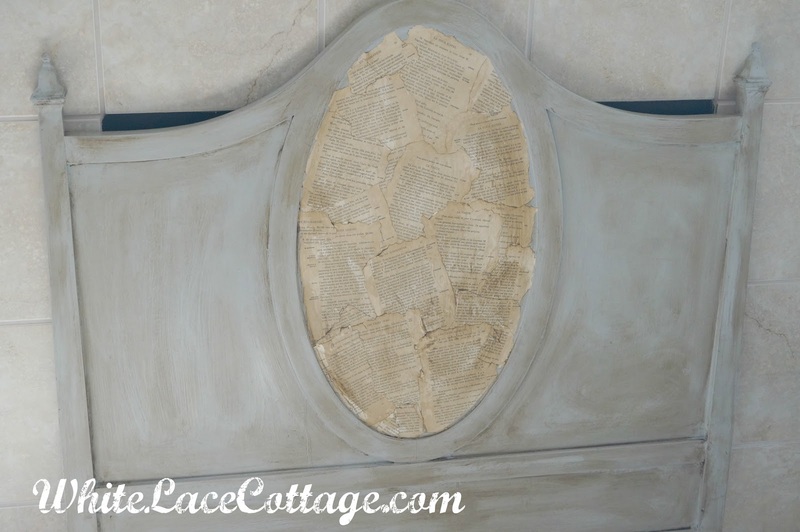 I love the headboard cover-the whole thing is so calm . A black hole 🙂 Funny. I think your mantel looks amazing. I would never have thought of the headboard and it looks fantastic! Love the soft blues. 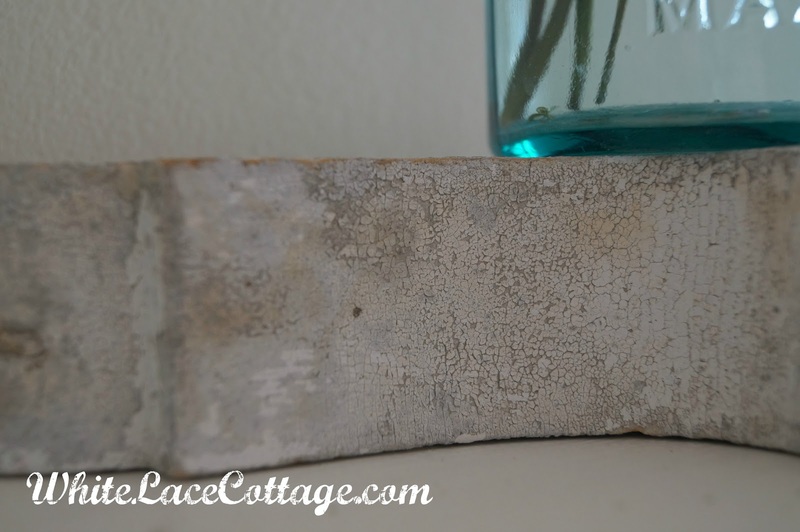 I love the simple look of your mantel, too!! Those ball jars pop and would look awesome with white hydrangeas, too!! Thank you so much for linking up to Share it One More Time linky party:) I just love this! What a great Idea! I like the use of pages on that headboard. I can see why you decided to take it back home! This looks amazing! I love the book page idea! Such a calm, peaceful setting! 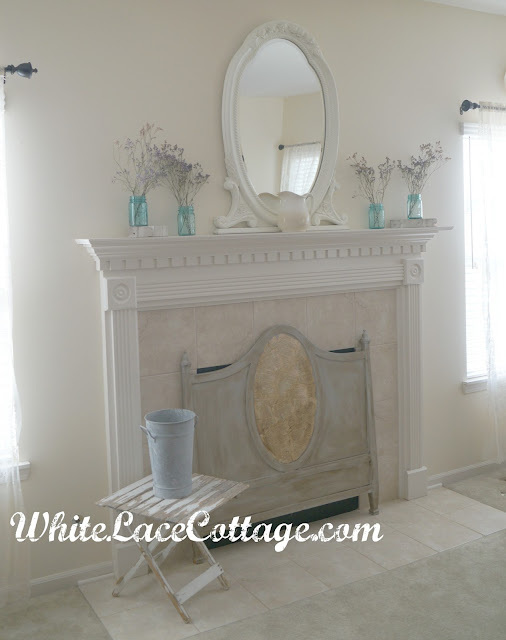 What a neat way to “shabby up” a fireplace. Those bell jars are so pretty against all the white. That was such a great ideal. I would have never thought to use an old headboard. I agree good decision to keep it for yourself. Your fireplace looks wonderful. Great job and looks beautiful. 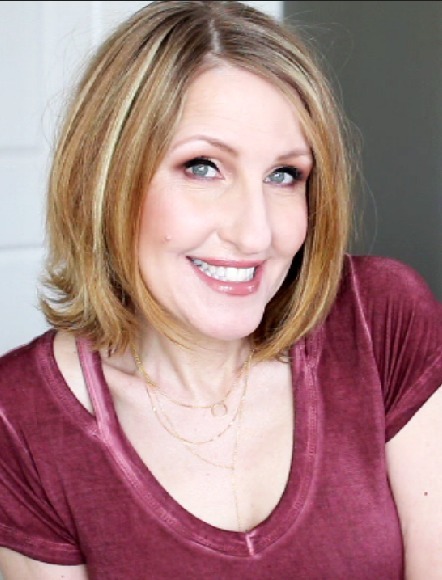 Definitely your newest follower – would love to have you visit an follow back when you can! gorgeous, anne! love the french blue and book pages! very charming mantle! Hi Anne, I just wanted to let you know you have been featured at Share It One More Time…Congratulations and be sure to grab your “I have been featured button” It’s located on my side bar. Hope to see you again this Friday! Thank you for the inspiration! Fabulous job! !